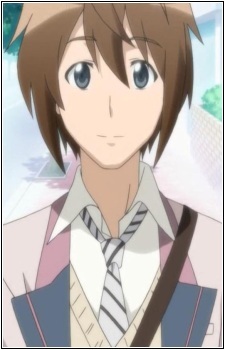 The male protagonist who is the heir to the Mikadono Group. For him to take over, he needs to graduate from school as well as finding a life partner. However, things become complicated as he learns that he has a younger sister who is watching over him as well as attending the same school. He has a scar on his forehead from an accident when he was a kid, which caused him to lose bits of his memories.